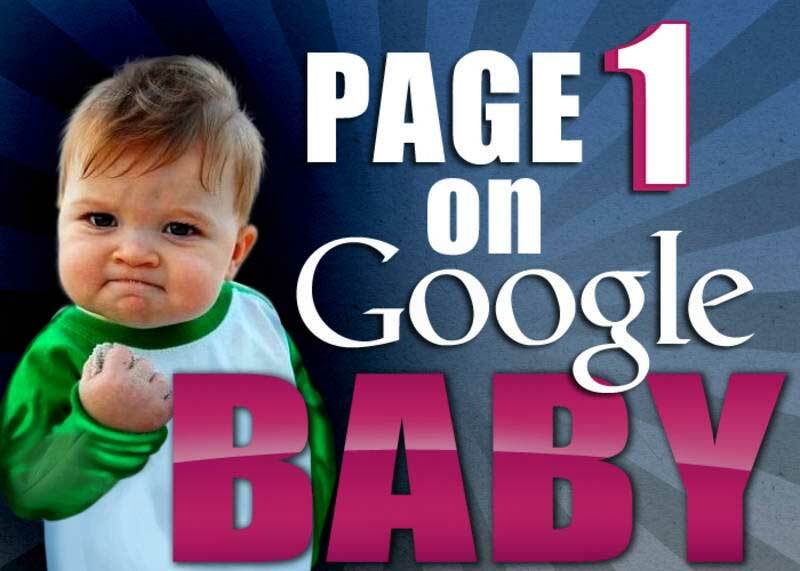 Page 1 on Google – Not just 1 but 2 links positions! 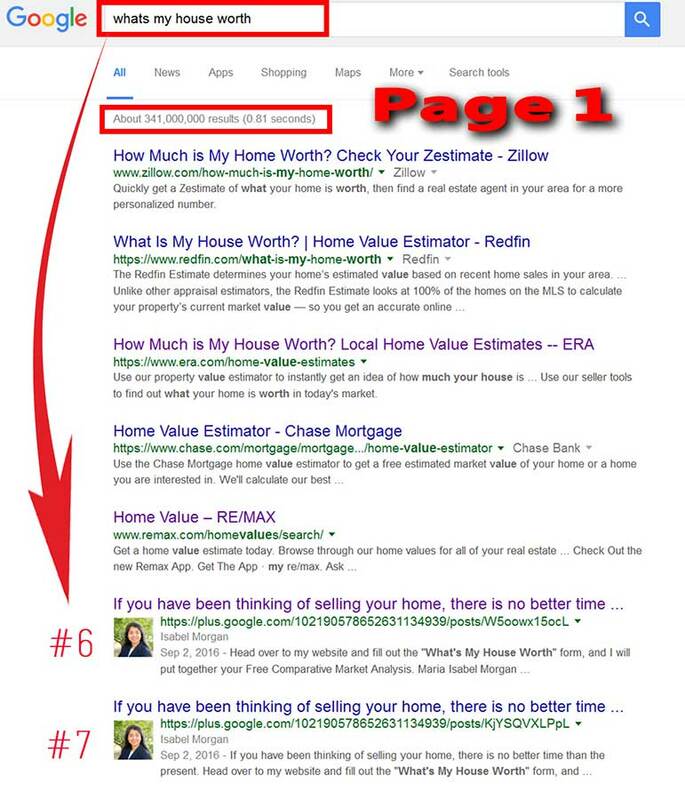 I am please to announce that with hard work and dedication, Isabel Morgan, REALTOR® website IsabelMorgan.Com has been doing all the right things to get listed on the First Page of Google using the search term Whats My House Worth. When setting up a business website one of the most overlooked yet most important task is search engine optimization (SEO) and social networking marking (SNM). I would liken the absence of SEO and SNM to that of opening a business and not being listed in the phone book (15 years ago). You will notice on the screenshot below, Isabel is listed using this search term above as #6 & #7 out of 341,000,000 others. So as you can see this is a monumental achievement. She is listed with the largest real estate institutions in the world. Achieving search results like this is within reach of anyone with a business website to promote, but it does take a clear understanding of Search Engines, and Internet Marketing. Ready learn how to get listed on Google? If your ready to improve your google listing, drive more traffic to your website, increase your exposure locally and/or through out the world. Don’t wait another minute, give me a call and I will bring you up to speed and help you put together a working strategy for your business. You might be surprised to learn that after a 1 to 3 hour consultation, you will have a fully executable business strategy. Once you have a strategy and understand the player and the playing field, executing your strategy is where the hard work and dedication comes into play. Setting up your website, and getting linked up with your social network can take 7 to 30 days depending on your product or service. 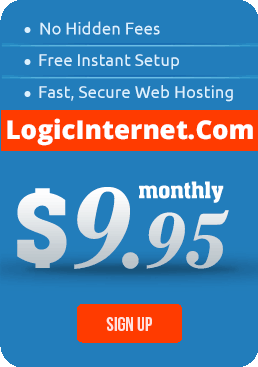 Additionally, of course this also depends on how much time you have to put into your site on a day to day basis.